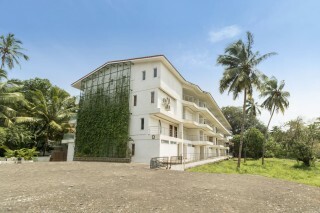 Located just 750 m away from Calangute Beach, this is an offering of two-bedroom apartment which can accommodate up to five people. 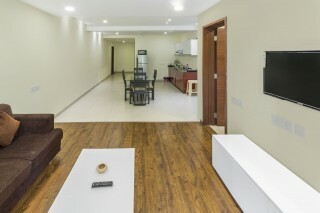 The property is just 300 m away from Infantaria Restaurant, and the apartment is ideal for a friend group. Additionally, a help desk is placed in the lobby, and the host offers breakfast at INR 125 per plate. 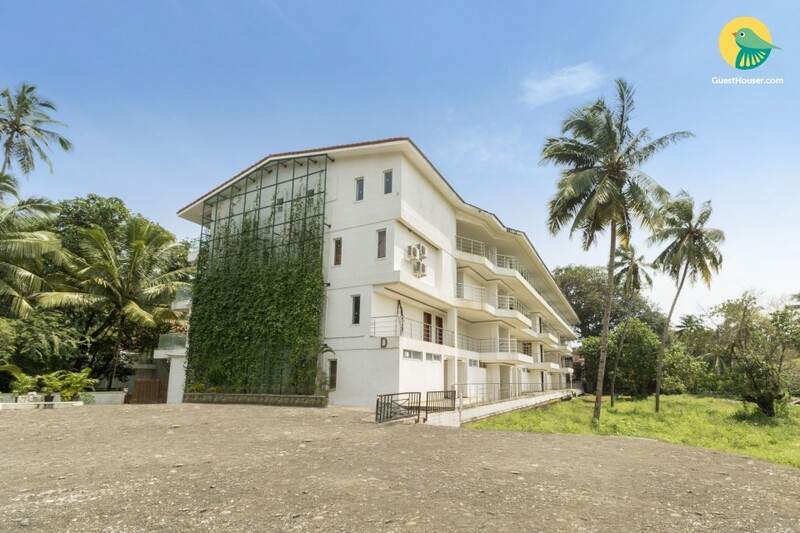 Your Space Bordered by coco palms, this property stands out attractively with a pristine white façade with verdant creepers adorning one side of the exteriors. 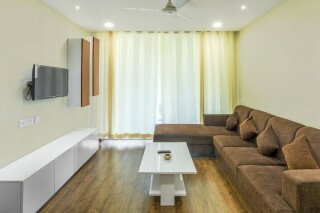 Inside, the minimalist living room has wood- panelled flooring and is furnished with a plush sectional sofa, a coffee table, a flat-screen television, and cabinets for keeping your belongings. 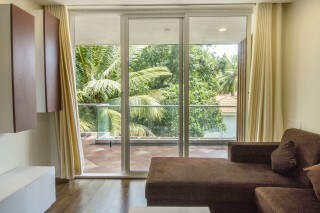 A sliding glass door leads to a spacious balcony that offers a generous view of luxuriant green tree tops. 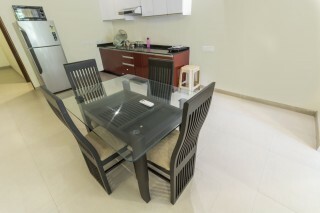 The accommodation also features a kitchen equipped with essential utensils an electric plate so you can whip up a quick meal at any time of the day. A four-seat dinette is placed for mealtime convenience. Each of the air-conditioned bedrooms houses a wooden double bed, a mirrored wardrobe, and bedside tables. The en suite bathrooms are equipped with modern sanitary ware. 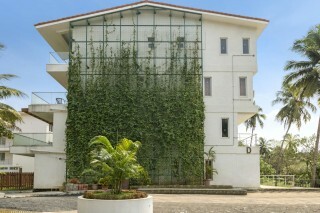 The room opens out to a spacious balcony with coffee seating, making it the perfect spot to read a book or just relax. Guests are required to provide a valid identification at the time of checking in. Car and bike rentals can be arranged on request at relevant charges. Pick up and drop off on request. Great atmosphere to refresh with ur friends. 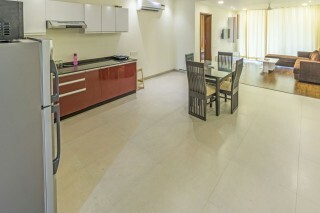 Everything is good but ensure that whether got the room you have booked. Because we allotted in some other room.